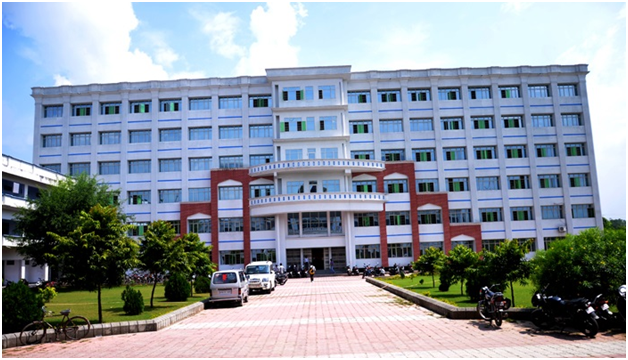 Integral University was started as an engineering college in 1998 and was promoted to the status of a full- fledged university in 2004 by the Government of Uttar Pradesh. The university has its primary campus in Lucknow, with study centers functioning in many cities of Uttar Pradesh. The university also has a provision for the students who, for some reason or the other, want to exit their chosen course (MCA/ BCA/ MBA/ BBA) after the second semester. These students will be provided the respective diploma or certificate (PGDCA/ DCA/ PGDBM/ DBM) instead of the degree. The students can also obtain the prospectus and admission form on sending a demand draft drawn in favor of Integral University A/c DDE payable at Lucknow to the university address, which will then be sent to the students directly. The prospectus can also be procured from the Administration and Coordination Office- Directorate of Distance Education, Study Centers, Admission Facilitation Centers, Counseling Office or Help Desks of the University. The duly filled admission form, with extra photographs and self attested photocopies of all eligible documents are to be sent to Administration and Coordination Office, Directorate of Distance Education, Integral University Lucknow through Courier or General Post. Provision of online admission is also available to the students. Visit the following link http://depintegraluniversity.in/online_reg.php for the registration form. Fill in the necessary details carefully, and submit the form only after double checking all the information. Ensure that you have the demand draft, drawn in favor of Integral University A/c DDE payable at Lucknow, for the fee amount ready before filling the form, because the registration form calls for the details of the demand draft. You also need scanned version of your passport sized photograph, and scanned copies of all the qualifying documents in a compressed (zip/ rar file). Also note that the admission provided will be provisional, until the original documents are verified by the university according to its procedure. Note that with the exception of the MA Education course, all the other courses are offered in the semester mode of education. The MA Education course is available in the yearly mode only. In addition to the above mentioned fee, Rs. 500/- is to be paid at the time of admission as admission fee. Also, an additional Rs. 2000/- is levied as Lateral Admission fee, if and wherever applicable. The eligibility criteria for all courses offered by the university as a part of its distance education program are mentioned below. Students wishing to seek admission in any of the courses are advised to carefully check the eligibility requirements before applying for admission or paying the fees. Following is the academic calendar for the session 2017-18. For more details, check the university website or prospectus. The university was set up by the Government of Uttar Pradesh. It is approved by the University Grants Commission (UGC), All India Council for Technical Education (AICTE) and National Council for Teacher Education (NCTE). It is also accredited by the National Approval and Accreditation Council or NAAC. Integral University’s Distance Education Program is approved by the Distance Education Bureau of the UGC. The distance education MBA course of the university is of 2 years’ duration, and has to be completed within a maximum time period of four years. FEE-The fee of the course is Rs. 11,800/-, plus 500/- as admission fee. ELIGIBILITY-The candidate can be a graduate or equivalent in any stream to be able to pursue this course. SPECIALIZATION- The first two semesters are general, while student has to pick a specialization for the last two semesters. The student has to give 6 papers for his major and 3 for minor subject. Also, project work has to be performed in the last semester. The specializations offered for the last two semesters are Marketing, Financial Management, Investment Management, International Business, Human Resource Management, Retail Management and Information Management. SUBJECTS & CODE- Visit http://depintegraluniversity.in/pages.php?q=1. Then Courses<MBA.